I've read Alice's Adventures in Wonderland before and I thought it was odd then. Reading it aloud to the kids was an even more interesting experience. My personal opinion is that this book works better as an individual read than as a read aloud. There are so many puns and jokes involved and in order to track with the story and get the most out of it I think you need to have a quick wit. My kids are funny and they can get and take a joke but a lot of Alice went right over their heads. They'll connect with it better (as much as anyone really can) when they are older. 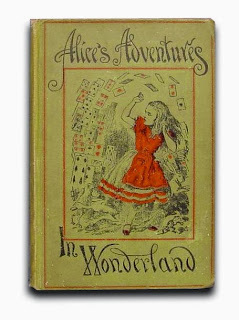 Of course, we read about Alice because of our upcoming trip to England. One of the places that we are staying is in Oxford and it would be almost embarrassing (well, I would be embarrassed) not to read Alice before we arrive. We have a list of "Alice-themed" places and activities that we wish to engage with during our time in country. Here is a cool blog post detailing some spots that one should visit. Wouldn't it be cool if we got to see the turtle shells on the kitchen wall in the Christ Church kitchen? I guess we'll have to see about that one but it doesn't stop one from dreaming. Alice's Adventures in Wonderland is not one of my favorite books on the planet (in case my position has not been obvious). As it is a classic though, I won't shirk it. I'll probably even read it again someday! For the moment though, I'll consider the deed done. I'd rather watch the Disney cartoon version than read the book and we'll make a point of doing that before we leave on our trip later on this year. Yeah, I have to say, both times I read this one and Through the Looking Glass, I felt it was really odd. I liked it? Maybe? But it was odd. I've always loved Alice (and the rest . . . ) and my kids really enjoyed both of them when we read them a couple of years ago. Time for a re-read, I think; the twins were pretty young last time. Should I admit I didn't finish it? There. I did. I think I've watched every movie version there is, and though I don't believe I ever finished the book, I do recall really liking it. A couple of weeks ago, I moved it to the front of my kindle, in hopes of getting to it soon. 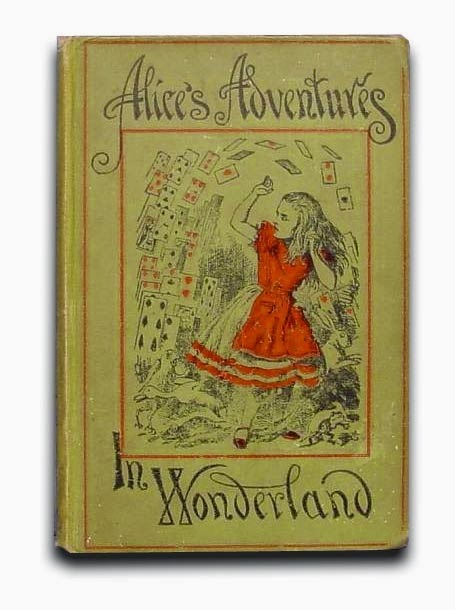 That said, after reading part of Alice I Have Been, and doing some research, my mind just has issues with Carroll. It's a shame, though, because he's not here to defend himself. The issues are there, though.